Lunar New Year is a time for celebration, family reunions, elaborate meals, and the giving of blessings to family and friends in the form of hong bao or lai see—red packets containing money. 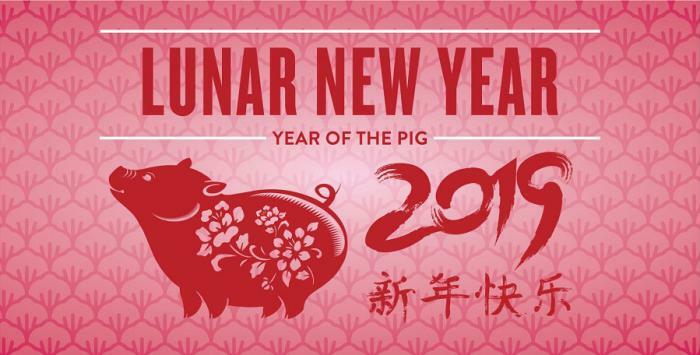 2019 is the Year of The Pig and all over Irvine local shopping and entertainment destinations are already celebrating in style! South Coast Plaza’s celebration is already in full swing, as the iconic shopping destination welcomes the Lunar New Year with a spectacular celebration filled with special gifts, family-friendly events, complimentary activities and entertainment through Feb 18th. Now on its ninth year, South Coast Plaza’s 19-day Lunar New Year festivities are the largest and most extensive of any retail center on the West Coast, drawing visitors from Southern California and abroad. Enjoy a variety of weekend entertainment during Lunar New Year featuring traditional Asian cultural performances and new talents, including Lion Dance, UniStar Children’s Variety Show, ETTV Top Idol singers, Megan Lee, the Silk Road Band and more. 1-4 pm in Carousel Court, Level 1. Children can assemble decorative Lunar New Year lanterns celebrating The Year of the Pig at the craft station from 1-4 pm in Carousel Court, Level 1. The lanterns are complimentary. Special photo exhibit showcasing the wonders and heritage of China from the Consulate General of the People’s Republic of China in Los Angeles. Located in Carousel Court, Level 1. Inspired by the tradition of hanging wishes onto a tree during Lunar New Year to wish for happiness, prosperity and longevity, a virtual wishing tree will be in the center of Jewel Court, integrated with the magnificent pagoda centerpiece and flying pigs descending with auspicious items to celebrate the new year. Visitors can view a demonstration of calligraphy and receive a keepsake created by Yongzhong Mao from American Chinese Society for Calligraphy. Located in Carousel Court, Level 1. 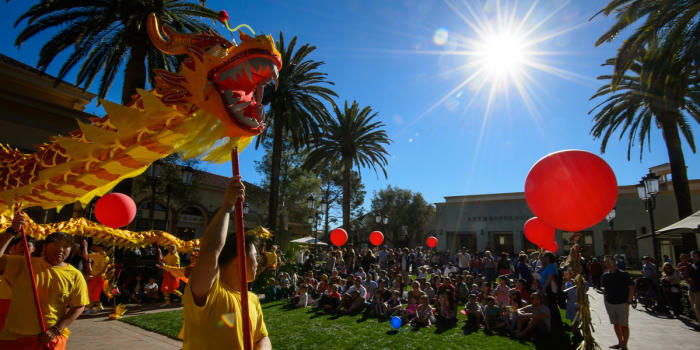 A special Lunar New Year celebration will take place at Irvine Spectrum Center on Sunday, February 10 from 12pm - 2pm. The Giant Wheel courtyard will be decked out and festive with greeters distributing fortune cookies and lucky envelopes. 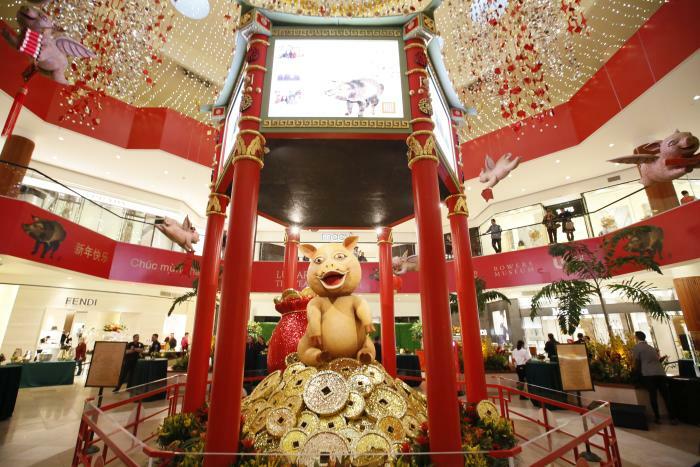 There will also be a Chinese dragon dance and a Lion dance to get shoppers into the spirit. Fashion Island - Newport Beach will celebrate Lunar New Year from February 6 through 18 with a unique, one-of-a-kind Year of the Pig interactive installation. There will also be a chance to capture the moment with a photo on the Atrium Lawn located by Hyde Park Jewelers and Vince. For a cultural treat, don&apos;t miss the Pacific Symphony’s annual festivities honoring the Lunar New Year! 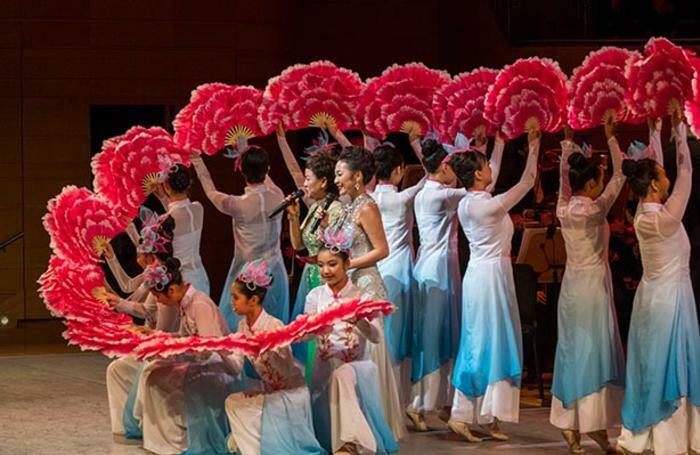 Celebrating the Year of the Pig, special concerts bring local audiences together to feast on a colorful presentation of Eastern and Western music and dance. If you don&apos;t have tickets for the concert, you can still enjoy the free festival on the Argyros Plaza, featuring cultural performances ranging from traditional Chinese folk dance to contemporary K-pop. 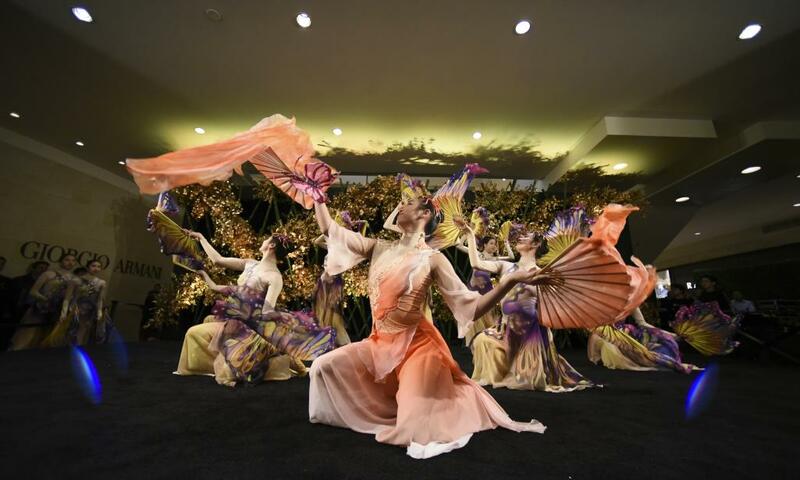 For tickets and more information, visit the Pacific Symphony Lunar New Year Event.